Tooth loss is nothing unusual, but it can take a big toll. Missing teeth can impact your self-confidence or make it difficult to chew your favorite foods and speak clearly. If you are already missing or are on the brink of losing one or more teeth, it is time to learn about your options in tooth replacement. Dentures and dental implants in Burlington are two common methods for regaining your complete and attractive smile — find out more about each of them and which one may be best for you below. A denture is a prosthetic set of teeth that is affixed into a plastic base designed to look like your gums. It can be partial or complete, depending on the extent of your tooth loss. A partial denture clips into metal brackets affixed to your natural teeth; a complete denture stays secure with natural suction and the help of a denture adhesive as needed. A dental implant is a tiny titanium post that can be surgically placed beneath the gum to restore the missing root structure of your tooth. A crown, bridge, or denture can then be placed onto the sturdy implant foundation. 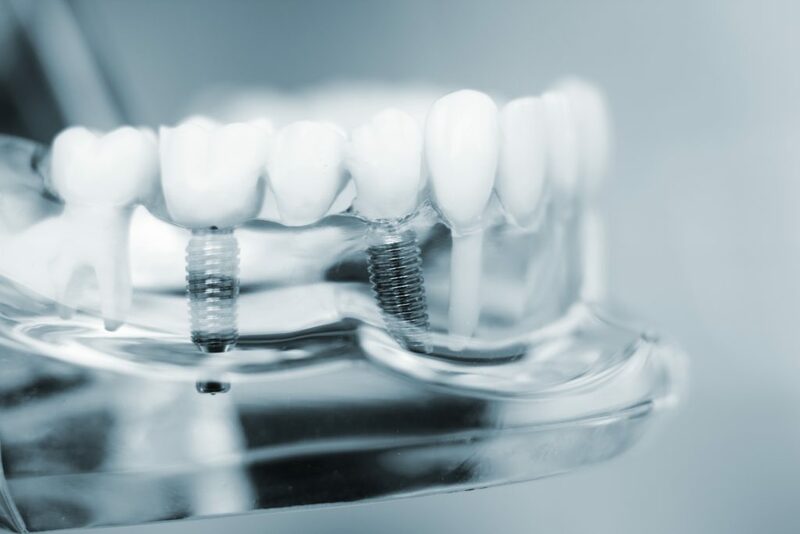 Because they provide a whole-tooth solution to tooth loss, dental implants are more stable and look more natural than other options in tooth replacement. The best way to find out whether a denture or dental implants are better for you is to schedule a consultation with a restorative dentist. During this appointment, your dentist will evaluate your oral health and the two of you will discuss certain factors — like any health conditions or concerns that may limit your eligibility for dental implants. If you are a candidate for implants, you will be strongly advised to choose this option. If not, modern dentures can still provide a wonderfully effective replacement. Complete Dental Care is where your dentist in Burlington offers patients of all ages a full list of quality dental services, from general checkups and cleanings all the way to exceptional tooth replacement options. If you are preparing to have teeth replaced, contact the office to learn about dentures and dental implants — and which one is right for your smile. Call Complete Dental Care at (781) 272-0441.